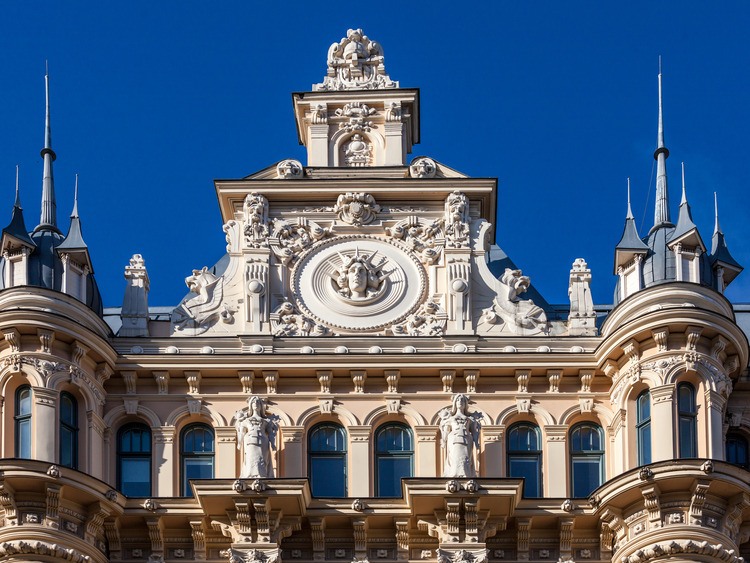 This tour will offer us a highly unusual experience: we will board a typical retro tram from 1901 and discover the Latvian capital's magnificent Art Nouveau monuments. For this excursion, we will board a typical retro tram from 1901 and travel across the city, admiring Riga's most beautiful streets, for example Meierovica Boulevard and Aspazijas Boulevard. We will take full advantage of a magnificent view of the National Opera, the Freedom Monument, the Old Town, declared a UNESCO World Heritage Site, Basteja hill and the National Theatre. Our unusual mode of transport will be a small vehicle that contrasts with the modern urban environment and stands out with its Art Nouveau design. Continuing through the historic centre, we will admire Riga's most important monuments dating back to over 800 years ago,which make this Latvian capital one of the most beautiful Baltic cities. The excursion will take place mainly on foot. The excursion does not involve coach transfers.